Watch a time-lapse video of the making of the Centennial Faculty Photograph. 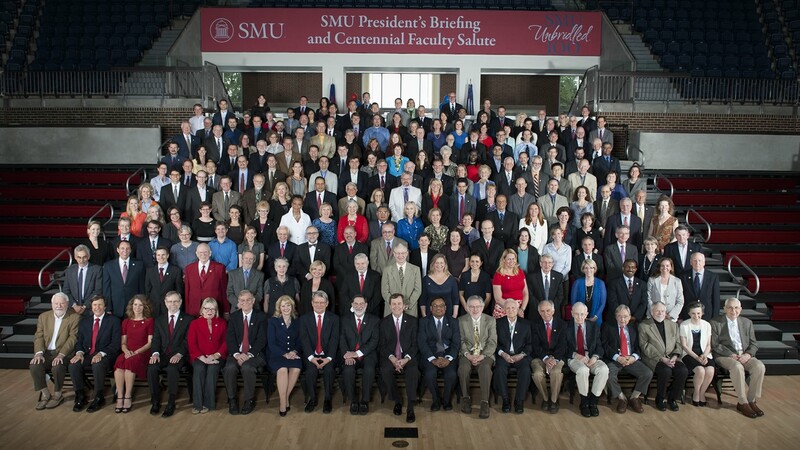 The Centennial Faculty Photograph was taken on April 11, 2014 as part of SMU Founders' Day Weekend. In 2014, SMU is celebrating the Year of the Faculty to mark the extraordinary contributions of the University’s esteemed faculty as researchers, teachers and University citizens. Visit the Year of the Faculty website to learn more. * Please email e-marketing@smu.edu if you have corrections or can help us identify participating faculty members.